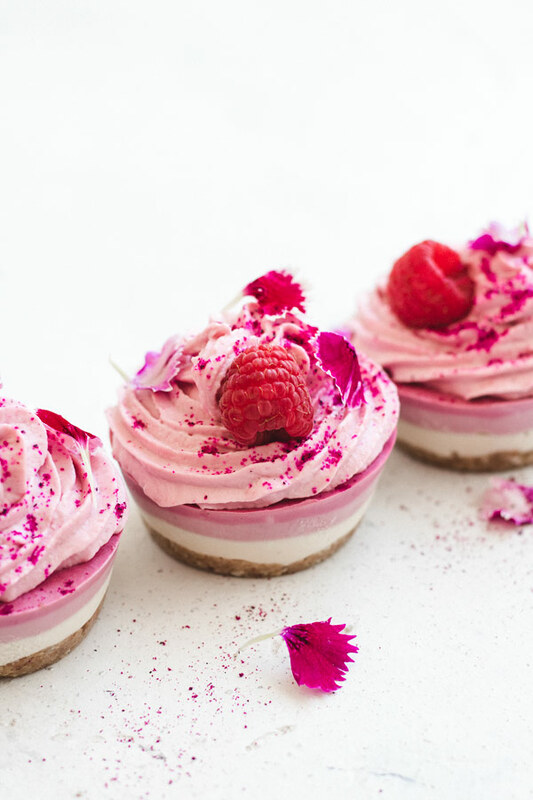 These raw vegan raspberry cheesecakes are made with wholesome raw ingredients and made into perfectly sized individual portions! Store them in your freezer and enjoy one whenever you like! 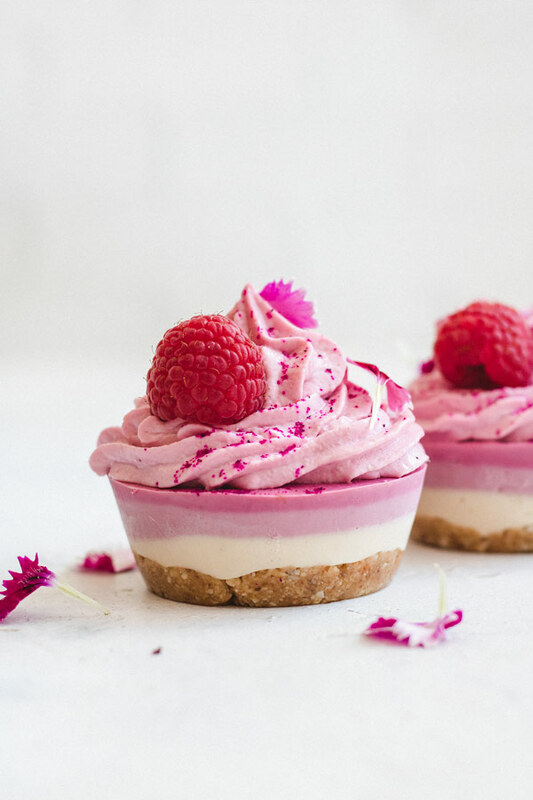 One thing I love about these raw vegan raspberry cheesecakes is that they can be made into individual portions, or you can make them as a whole cake. I personally love them as individual cupcakes because they’re perfectly portioned! The base is made out of only two ingredients, Medjool dates and almonds. The filling is made out of a cashew base, which gives the cheesecake a creamy texture. In a food processor blend the almonds and Medjool dates together until it forms a sticky dough. (if your dough isn’t sticky enough to bind together, add a couple more dates. Blend the raw cashews, coconut milk, maple syrup, lemon juice, coconut oil, and vanilla together in a high-speed blender until smooth and creamy. Pour half the mixture into the cupcake molds, leaving the rest to make the raspberry layer. Add the raspberries to the blender and blend until smooth. Add the raspberry layer on top and place in the freezer. 0 Response to "RAW VEGAN RASPBERRY CHEESECAKES"